Leading GOP senators are pressing the IRS on whether not-for-profit hospitals are meeting the standards of charity care and other community benefits required of their tax-exempt status, and how the agency enforces current policies if they're not. In a letter to David Kautter, acting commissioner of the IRS, Senate Finance Committee Chair Orrin Hatch (R-Utah) and Judiciary Committee Chair Charles Grassley (R-Iowa) demanded to know whether the agency collects information on not-for-profits' contributions to their communities. Not-for-profit hospitals are required to contribute to their communities based on assessment of their community's health needs as part of their tax-exempt status. 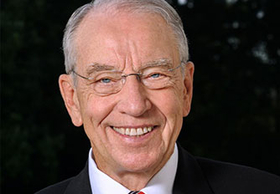 Grassley has an active history in the issue and is keenly interested in transparency measures for not-for-profit providers. He helped push the change in Congress that made hospitals' tax-exempt status contingent on how they define their role in relief of the health needs of their communities, and set transparency measures and policies that include limits on what not-for-profit providers can charge for care of low-income patients. The senators also relayed reports of not-for-profit hospitals cherry-picking patients to exclude the poor. They also cited a Politico report of not-for-profit hospitals filing staff and resident training under the community benefit requirements. The senators noted the latitude hospitals currently have to interpret what the community standard means, and asked whether the agency has released guidance to narrow that definition. They also asked for a report on how the IRS monitors hospitals' compliance, and how many hospitals have been found to be out of compliance. In their letter, the lawmakers also cited the drop in hospital charity care spending. A Modern Healthcare analysis from January showed that for the first time in years hospital charity care spending is flat after steady decline following passage of the Affordable Care Act.